EDITOR’S NOTE: Aaron Burgin contributed to this report. ENCINITAS — Soulful Motown music competes with conversation and laughter as families and friends drink craft beer and enjoy plant-based cuisine. 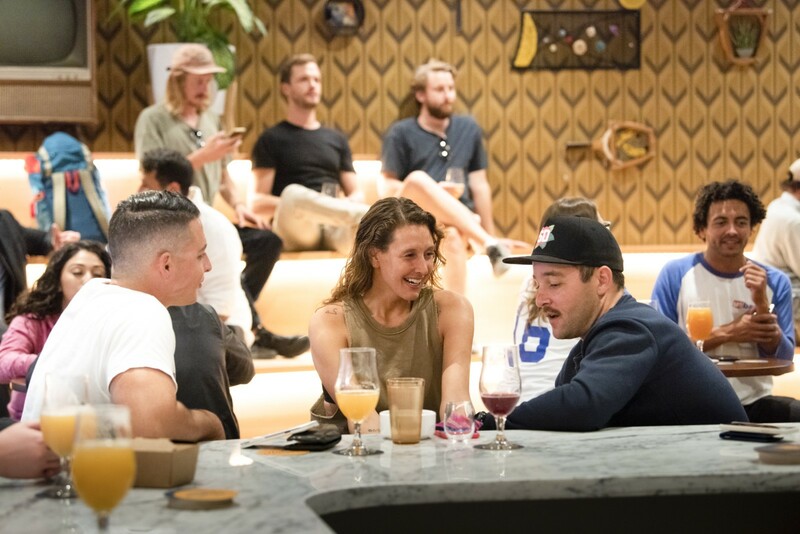 This was the scene at last weekend’s grand opening of Modern Times Far West Lounge in Encinitas. But behind the vintage-style ceramic cats and macramé hanging plants is a more recent story of how the stylish brewery and restaurant came to exist. 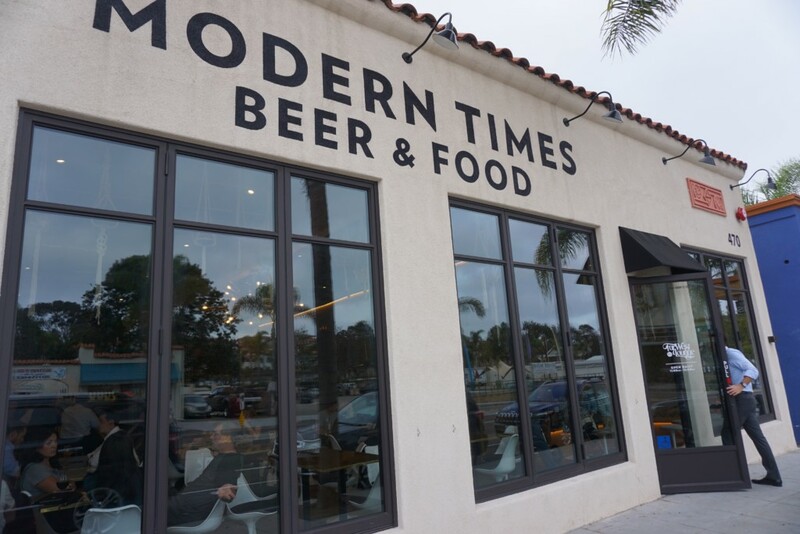 In summer 2017, Modern Times submitted a proposal to open a tasting room in downtown Encinitas. The Coast News reported that the city Planning Commission approved the project in a 3-2 vote in July 2017, but not without debate. The proposal was contested by the Encinitas Citizens Committee, a group of residents who advocate for less alcohol-serving establishments in downtown. In the face of these appeals, Modern Times pulled the proposal in fall 2017. They later found a compromise, submitting a revised plan for a restaurant that would also serve beer. “We totally understood what was behind the concerns that were brought forward, and wanted to do our best to work with the city to address them, rather than bailing out,” Reed said. In January 2018, the revised plans were approved in a 5-0 vote. The Encinitas Citizens Committee pushed for an arrangement between the city and Modern Times, requiring the restaurant to share its food and alcohol sales numbers. 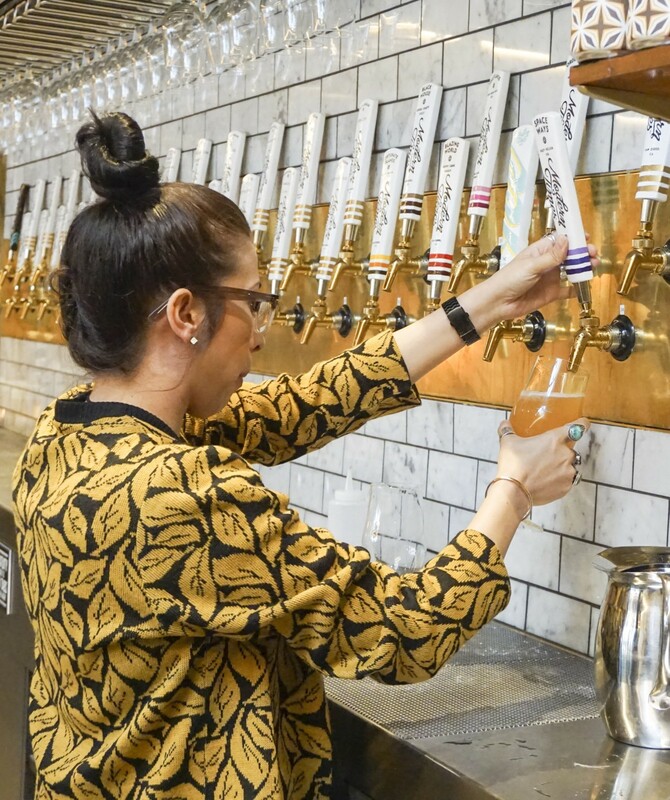 If the beer sales outweigh the food sales, committee representative Shirley Finch said in an emailed statement that the group would urge the city to investigate. While Modern Times experienced heavy backlash from the Encinitas Citizens Committee, they also had many residents support their plans, according to Reed. “A bunch of amazing Encinitas residents were kind enough to come to City Council meetings, write letters on our behalf, and help us clear the requisite hurdles to make this whole thing possible,” Reed said. Even with the pushback, Modern Times was eager to pursue the North County location, which Reed explains had been an idea for years. In addition to the now three San Diego locations, Modern Times also has shops in Los Angeles and Portland, Oregon. The Far West Lounge is now their only San Diego location to serve food, with an entirely plant-based menu. “It actually ended up being a great turn of events, as we’re now able to offer our San Diego friends some of the same outrageously tasty cuisine available at our Downtown Los Angeles restaurant,” Reed said. Downtown Encinitas, which is already home to several restaurants serving craft brews, seemed like a fitting place for Modern Times to set up its quirky, mid-century shop. Housed in a beautiful classic building on Highway 101, Reed said the team wanted to preserve the original architecture, which added to the nostalgic vibe. The Far West Lounge has over 30 taps of beer, nitro cold brew, a full kitchen and a mini-mart with Modern Times merchandise. Open every day from 11 a.m. to 10 p.m., Reed said the team is looking forward to becoming an active part of the Encinitas restaurant scene. This is a 150 seat beer bar? Where do all the patrons park? Downtown Encinitas is a wonderland of alcohol establishments – 38 and counting. To taxpayerconcerns: I just went to this establishment. I took and Uber from Cardiff can walked back home, no parking needed. don’t post comments while under the influence. oh man, finally a bar opened in encinitas! i was afraid pacific beach was going to be the only alcohol destination in san diego, but not to worry. bars line the coast highway and even if you live in cardiff you can hear the noisey drunks til the early morning hour. progress? 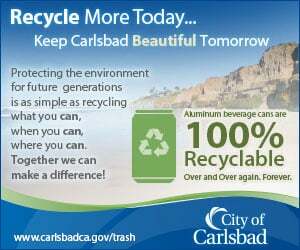 By the time the Encinitas Citizens Comittee gets their food sales numbers, most of them will be too old to remember why they were putting up a stink in the first place! Modern Times is not the enemy, you all just need to learn how to chill out. Prop 64 is here to help with that as well!